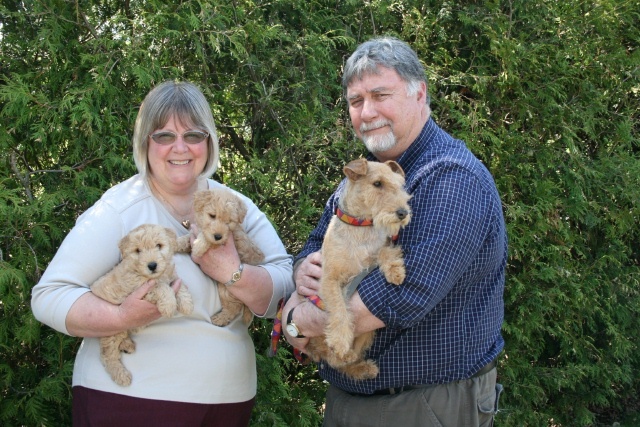 I’m a retired IT professional living in Cavan Monaghan township in central Ontario with my two naughty Lakeland terriers, Danny and Sophie. I live just outside of Peterborough in a semi-rural area where there is a variety of birds and other wildlife. I love daylilies and have about 200 varieties. I’m also partial to coneflowers and just can’t resist the latest colour offerings. In addition to gardening and photography, I enjoy writing, reading, theatre, genealogy and exploring the countryside. What a wonderful photo of you, Anne, Gary and the little critters.